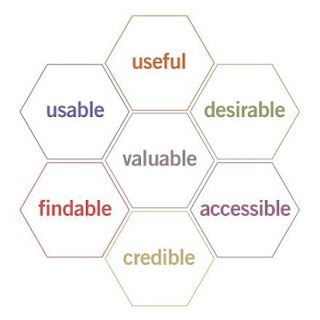 In a well-known blog post on Semantic Studios, Peter Morville defined a guide to evaluate User Experience on online websites. 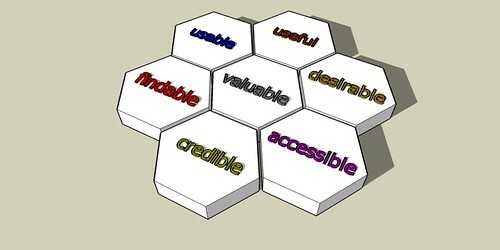 It's called the User Experience Honeycomb and depicted as shown below. And then incorporated into a more detailed graphic (click on image to see larger size). My manager forwarded this interesting game from a japanese site Flash Fabrica, which seems to be reasonably able to tell the age of your brain. If you don't feel as old as you may be, try this. 3. A bunch of numbers will very briefly appear on your screen and then get hidden by circles. 4. Click on the circles to go from the smallest number to the highest. First time, my brain got 2 years less than my true age . Then kept fiddling with it I got tired and my brain got older. Tried it again after a break and I got 22, 10 less than my first time! Good to know that the brain's age can be adjusted to suit personal satisfaction. Feel free to enter your scores in the comments and whether you think this is an accurate test. Products rarely work as well as advertised. Somebody tried out the new iPhone 3G and made the video below comparing it to the ad. 7x7 Session One, Seven Foundations – Our Reality 2008, Our Future 2028. Intrigued by anything that claims to be inspired by TED talks, I bought the season tickets to see these 5 sessions. The short 7 minute presentations keep the audience engaged and the talks focussed. Presentation from Professor Hans Rosling playing on a LCD screen outside, a duet song by Dolly Parton and Kenny Rodgers - "Islands in the Stream" playing in the big screen inside, I took my seat. Rod Oram, international financial journalist, the chair and moderator at these series also had his 7 minute session. With plenty of humour and wit, he would carry the seminar series well. Going on the theme of 7, he talked about the 7 synergies. First, Reality - need to have a realistic self assessment of our capabilities and goals for succeeding. Opportunity - global economy and technological empowerment enabling small companies from New Zealand to have manage international concerns, leveraging our natural resources - forestry, tourism as well as filmmaking. 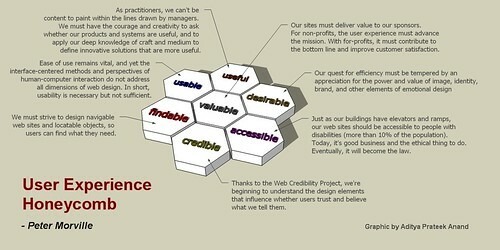 Creativity - our size allows us to pioneer new business models, skills and relationships. Sustainability - Auckland may have 2.2 million people in 50 years, Pakehas may become a minority, we will need culture, community and business to work hand-in-hand. Commonality - of purpose, that we acknowledge each other's aspirations, but are able to find common ground for action. Leadership - New Zealanders prefer strong leadership, but we need distributed leadership in small groups. Finally, Belief - New Zealand can be a role model, bolder, strong, more certain of world contribution, and more successful. New Zealand can be the distinct attractive alternative. Only if we believe can we achieve. He was follwed by Dr. David Skilling, CEO of the think-tank New Zealand Institute, who presented an economic analysis of current New Zealand and projected to 2030. Among the several graphs and numbers presented the overall theme was 'absence of change'. Among the OECD countries per-capita-income, we are currently 22 and are at the current rate are to remain so in 2030. However in that time the gap with Australia will increase from 30% to 60%, which can have a major impact. A Wellington Westpac stadium full of people leave for Australia every year, indefinitely or long term basis. However either too negative or positive attitudes don't help much. To make a real difference, the aspirations need to be better defined. There is a need to engage effectively with global economy or New Zealand is going to get run over. In response came Brian Easton, and independent scholar and columnist. His presentation theme being markedly opposite - 'does material affluence boost well-being?'. Disagreeing with the theory that more products means one is better off, he also questioned the blind faith public has in economists. He gave examples of lack of correlation between well-being and material consumption - rich countries per capita income not relating to their happiness, in U.S. better to be married that have 100,000 dollars extra income. His summary - "don't worry about the economists, be happy". Michael Field, columnist, author, expert in Pacific affairs, discussed that on his travel to Mumbai he encountered Indian civil servants who dismissed New Zealand due to its low population. Point was that New Zealand sees its much smaller Pacific neighbours in a similar vein. He proposed that perhaps there should be a union that takes away the 'small failing micro-states'. Information Technology and relaxed borders would help sustainability. Michael mentioned Tokelau and despite New Zealand attempts to have them go their own way, they prefer to be part of New Zealand. The arrival of "broadband internet, Bebo, and Sky TV" had "muted their drive of decolonization". He suggested that New Zealand should lead the way in establishing and facilitating a better Pacific union. Professor Jacqueline Rowarth of Massey University came to talk about science research & development in New Zealand. For its size New Zealand has a good amount of research going on. Globally the demand for food is set to grow, but New Zealand does not have more land to farm. Thus farming techniques will need to become more sophisticated. However less graduates are electing to go into Agricultural Sciences and are moving to fields such as creative arts, which Jacqueline coined "the Peter Jackson effect". 26% of tertiary educated go overseas, many don't see a future in New Zealand. The science system in New Zealand needs reform, to be led more by creative 'investigator-led' research rather than 'output-driven research'. A 'Fast Forward' fund of $700 million has been created, under minister Jim Anderton and colleagues, for Science, Farms & Food. This is being matched by industry. It should help put New Zealand back in high-level research. Concluding, "If we liberate the thinkers, then we will have the recruitment that we need, and we'll have better science." Dr. Morgan Williams, Parliamentary Commissioner for the Environment started by talking about astronauts' epiphany. The inexpressible experience of externally observing and realizing the world as an isolated and closed system. He described humanity putting enormous pressure on the resources of the globe including oceans, soil, water. There are eco-system services which we depend on and take for granted, such as bees for pollinating. One solution mentioned was bio-mimcry - taking learning from nature and applying them in the creation of our systems. Such as vineyards in North Canterbury planting flowers around to lift the pollination rates. The education system has to catch up with learning for sustainability. Savouring an enormous amount of information in a short time span is exhilarating, but takes time to digest. The rest of the seminar series looks promises increase the tempo.